ATP-Autoteile - Autoersatzteile & Zubehör. 90 days right of return. 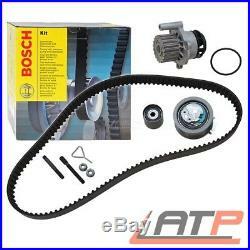 BOSCH water pump + timing belt kit. Suitable for all models mentioned in the vehicle list! 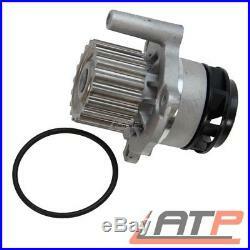 1x BOSCH Water pump + timing belt kit containing: 1x Timing belt 1x Idler 1x Tensioner 1x Water pump. Before purchasing, please check the restrictions regarding year of manufacture in the vehicle list! Before purchasing it is essential that you note any restrictions concerning engine number / engine code in the vehicle table. An explanation of the engine number / engine code can be found in our FAQ section 1.5. Before purchasing it is essential that you note any restrictions concerning chassis numbers in the vehicle table! An explanation of the chassis number can be found in our FAQ section 1.6. 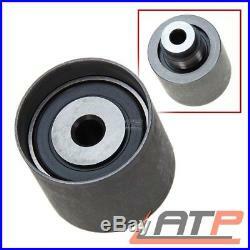 Water pump + timing belt kit Rollers included: 2 Width 1: 30 Length: 1143 Number of teeth: 120. Rollers included: 2 Width 1: 30 Length: 1143 Number of teeth: 120. QUALITY PRODUCT - NEW - READY TO FIT. Please note the restrictions on the following vehicle models. 02.00 - 08.05. Engine Code: AMF Until year: 08/2003 From Ch. 2..019001 or Engine Code: BHC From year: 05/2003. 11.03 - 08.05. 05.03 - 05.10. 09.04 - 05.10. 02.03 - 05.06. 05.05 - 05.06. 11.02 - 11.08. 05.05 - 05.07. SEAT ALTEA XL (5P5, 5P8). Engine Code: BLS Engine Code: BXE Until year: 12/2010. 01.00 - 06.04. From year: 05/2002 From Ch. 10.02 - 12.05. 05.05 - 11.09. 06.05 - 11.09. 10.02 - 11.09. 09.02 - 11.09. 05.02 - 12.05. 02.02 - 11.09. SEAT IBIZA V (6J5, 6P1). 03.08 - 06.10. SEAT IBIZA V SPORTCOUPE (6J1, 6P5). 07.08 - 06.10. 07.05 - 12.10. 06.07 - 12.10. 10.04 - 05.09. SKODA FABIA I Saloon / Notchback (6Y3). 04.03 - 12.07. From year: 05/2003 Until year: 10/2005. 10.05 - 12.07. 01.00 - 12.07. Engine Code: ATD From year: 10/2001 Until year: 10/2005 From Ch. 2..407 001 From Ch. 2X032 051 or Engine Code: AXR From year: 10/2005. 04.03 - 03.08. From year: 05/2003 Until year: 04/2007. 10.05 - 03.08. 01.00 - 03.08. 2X032 051 or Engine Code: AXR From year: 10/2005 Until year: 04/2007. 06.03 - 03.08. SKODA FABIA I Combi (6Y5). 02.07 - 03.10. 01.07 - 03.10. 04.07 - 03.10. SKODA FABIA II Combi (545). 11.04 - 12.10. Engine Code: BKC Engine Code: BXE Until year: 10/2008. 07.06 - 03.10. 09.06 - 03.10. 03.07 - 03.10. SKODA SUPERB II Estate (3T5). 10.09 - 11.10. Engine Code: BLS Until year: 09/2010. VW CADDY III Estate (2KB, 2KJ, 2CB, 2CJ). 04.04 - 08.10. VW CADDY III Panel van (2KA, 2KH, 2CA, 2CH). 11.08 - 08.10. 08.05 - 10.10. 01.99 - 07.05. From year: 10/2001 Until Ch. VW MULTIVAN T5 (7HM, 7HN, 7HF, 7EF, 7EM, 7EN). 04.03 - 11.09. 06.06 - 11.09. 01.06 - 11.09. 03.05 - 11.08. 08.05 - 11.08. VW POLO Saloon / Notchback (9A4). 10.01 - 06.05. From year: 03/2002 From Ch. 04.05 - 11.09. 10.01 - 11.09. Until year: 04/2002 Until Ch. 2..100000 or Engine Code: ATD Engine Code: AXR Engine Code: ASZ/ATD Model. 11.03 - 11.09. VW SHARAN (7M8, 7M9, 7M6). 11.02 - 03.10. 06.05 - 03.10. 02.03 - 05.04. 08.03 - 05.10. 11.04 - 05.10. VW TRANSPORTER T5 Flatbed/Chassis 7JD, 7JE, 7JL, 7JY, 7JZ. VW TRANSPORTER T5 Panel van (7HA, 7HH, 7EA, 7EH). VW TRANSPORTER T5 Bus (7HB, 7HJ, 7EB, 7EJ, 7EF, 7EG, 7HF, 7EC). 5 LITRE CASTROL EDGE TITANIUM FST 0W-40 A3/B4 ENGINE-OIL MB 229.5 ###QUALITY BRANDS PROFESSIONAL CAR PART SUPPLIER###. 5 LITRE CASTROL MAGNATEC 5W-40 C3 ENGINE-OIL BMW LONGLIFE-04 ###QUALITY BRANDS PROFESSIONAL CAR PART SUPPLIER###. 5 L LITRE CASTROL GTX 5W-40 A3/B4 ENGINE OIL API SM/CF ### QUALITY BRANDS PROFESSIONAL CAR PART SUPPLIER ###. 5 L EDGE TITANIUM FST 5W-30 LL OLIO MOTORE VW 504 00 / 507 00 ### QUALITY BRANDS PROFESSIONAL CAR PART SUPPLIER ###. 5 LITRE CASTROL EDGE FST 5W-40 ENGINE-OIL SAE 5W-40 ###QUALITY BRANDS PROFESSIONAL CAR PART SUPPLIER###. 5 LITRE CASTROL EDGE TITANIUM FST 0W-30 ENGINE-OIL BMW LONGLIFE-04 ###QUALITY BRANDS PROFESSIONAL CAR PART SUPPLIER###. 5 LITRE CASTROL MAGNATEC 10W-40 A3/B4 ENGINE-OIL API SL/CF ###QUALITY BRANDS PROFESSIONAL CAR PART SUPPLIER###. Our service - Your advantage! We do not deliver to the following postcodes: IM (Isle of Man), GG (Guernsey), JE (Jersey). 3559349012 - 3559314012 - 3558880012. Huge product range for all makes. 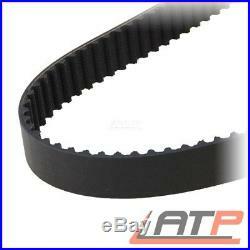 The item "BOSCH TIMING CAM BELT KIT + WATER PUMP VW TRANSPORTER T5 1.9" is in sale since Monday, August 10, 2015. 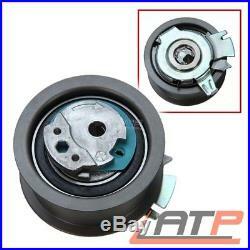 This item is in the category "Vehicle Parts & Accessories\Car Parts\Engines & Engine Parts\Belt, Pulley & Tensioner Kits".